One thing you’ll hear about The Equus Hotel long before you get there is praise for the high level of service they provide, so much so that I thought it couldn’t possibly to live up to the expectation that had been set. In an area filled with corporate, impersonal venues, The Equus Hotel charms you instantly upon arrival. I was greeted by Rene, who’s worked at the hotel for more than 20 years. Her smiling face was a welcome sight after a long international flight. 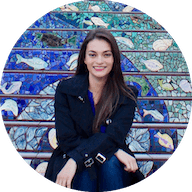 It’s common for people to want to work here, and stay here once they get hired.From the concierge to the housekeeper, there are genuine smiles and an appreciation for how the location is managed. That’s because this is one of the last locally owned hotels on Waikiki Beach. It’s nice to see a local business thrive where others have struggled or been bought out. 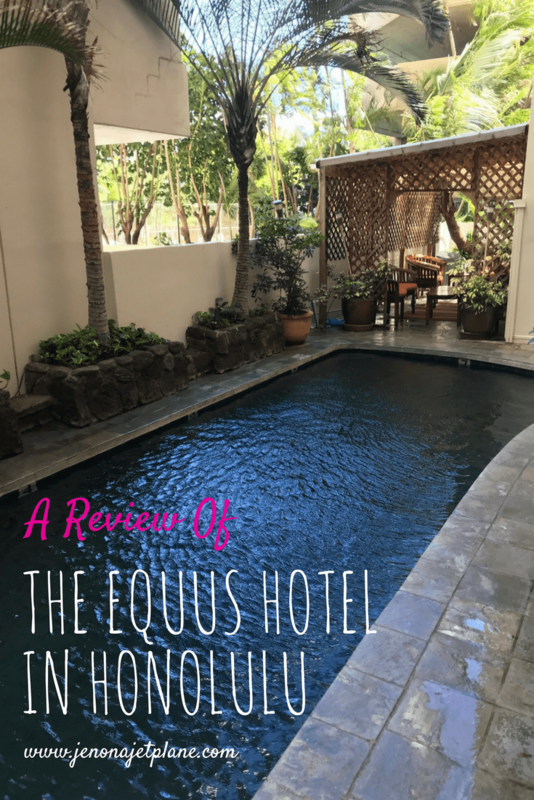 Whether you’re going for drinks at their Paniolo Bar or renting a room and staying a while, The Equus Hotel is well worth a visit, and here are some of the reasons why. “Equus” is Latin for horse, and which is fitting since the owners also own the deed to polo fields on the beach. It’s the only place in the world where you can watch a polo game surfside, and they’ve even hosted President Obama at a match. If you’re a guest of the hotel during polo season, which starts April 15th and runs till Labor Day, you’ll get complimentary tickets to watch a game yourself. That is the definition of the presidential treatment, and a bonus that no other hotel offers. The Equus is proud of their affiliation, and the horse theme is carried throughout the building, with pictures of cowboys hung in the hallways and sturdy wood benches by the elevators on every floor. A saddle and boots are found in the lobby, and murals adorn the poolside area, making you feel like you’re in a tropical version of the Wild West. The rooms all feature pillow top beds with good shower pressure and ample hot water, a tea and coffee maker, iron, refrigerator, TV and free WiFi. I had no problem logging on and was able to stay connected throughout my trip. There’s daily room service available if you opt to have it. I found it odd that they had a fridge with no microwave, but thankfully pizza is good served hot or cold and I could use the space to keep my orchid lei fresh overnight. The hotel aims to conserve the energy and resources. This was a trend that I saw throughout the island generally. Target didn’t even offer plastic bags, you had to buy the reusable bags or take your items by hand. 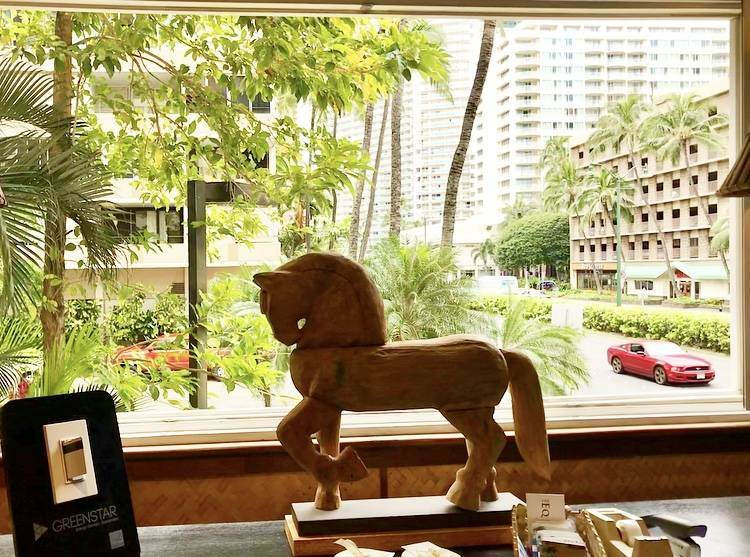 The Equus Hotel takes its role in conserving Hawaii’s resources seriously. You won’t find any straws at the bar, in order to reduce use of plastics. There’s also a place for you to refill your water for free, and they encourage you to do so instead of buying a new bottle. It’s clear that this family-owned establishment is concerned with the legacy they leave behind, and it made me want to become more conscious about my daily habits as well. 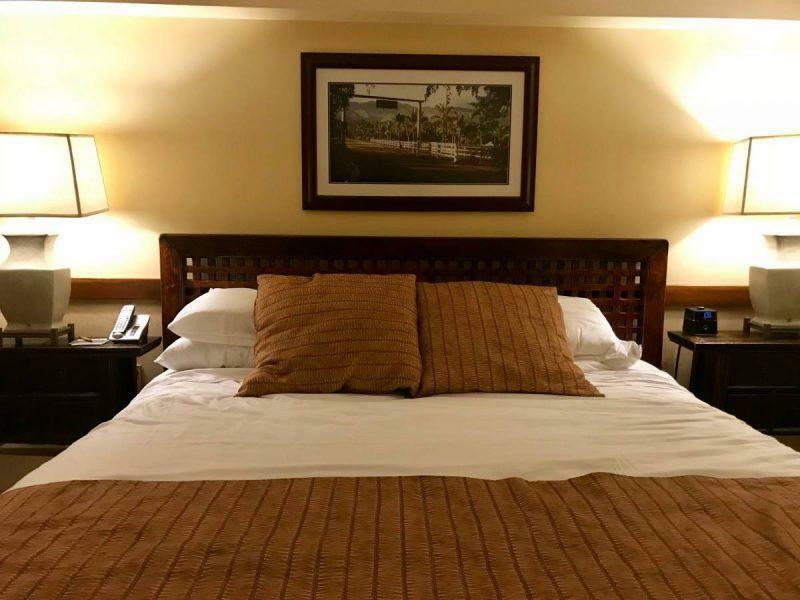 The Equus Hotel is competitively priced for the area, making it ideal for families booking multiple rooms or solo travelers that bear the full price of accommodations. I met a lot of young professionals there for, both business and just taking an overdue vacation. Parking in Honolulu can be a nightmare. Thankfully, parking at The Equus hotel was easy. It costs $28/night to valet your car, and you can go in and out as much as you wish. The valet will park your car close by if you give him a heads up that you’ll be leaving again soon. They also allowed a friend of mine to park briefly while I was checking out without incurring a fee. Right next to the valet, you’ll find the concierge. The concierge is available until 8pm or later to help you make reservations, point you in the right direction and just orient you with maps and suggestions. 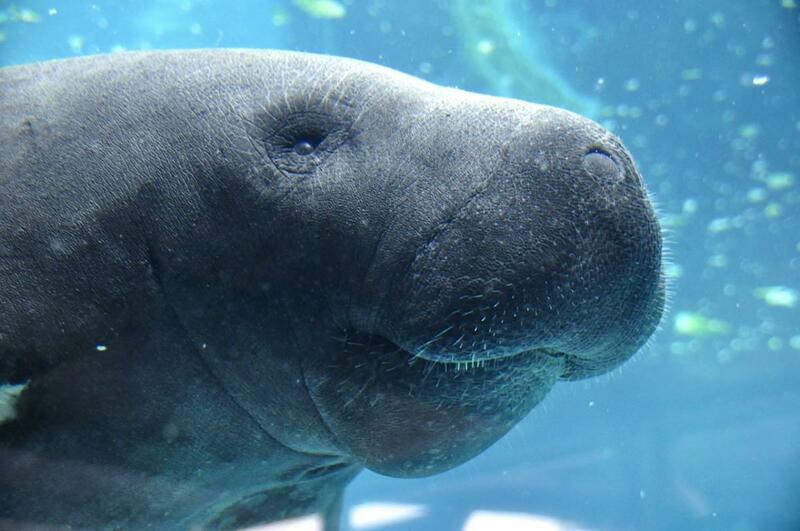 It’s like your personal tourism office. On the off chance you still aren’t sure how to spend your time in Hawaii yet, you’ll get a text message from the front desk checking in at the end of the first day. You can use that number at any time to text the hotel staff with questions, get suggestions on what to do or where to eat, and make any other requests you have. Communication is a strength here. By day, it’s Da HI Brew, but by night it transforms into the Paniolo Bar, where the Mai Tai’s are generous and the company is unmatched. I made friends from all over the world on my first night, and was surprised to see that the owner’s daughter, Mariah, was actually tending bar herself. She had an ease of talking with guests and you could tell she grew up in this industry by her naturally inclusive demeanor. The Paniolo itself is a new addition, and they’re open for business! When I went, Mariah was tending bar on Thursday nights, so if you happen to se her see her tell her I said hi! 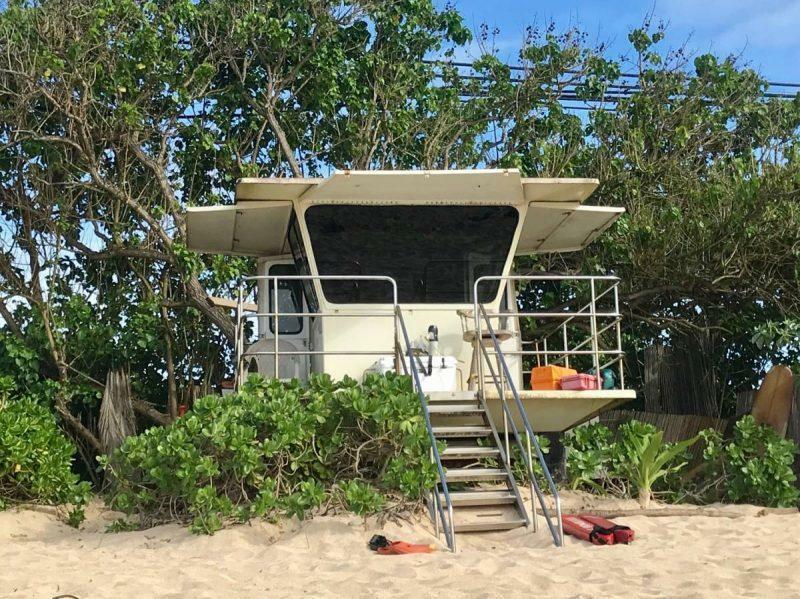 There is so much to do in the immediate area, from visiting Pearl Harbor to doing the Diamond Head bike. 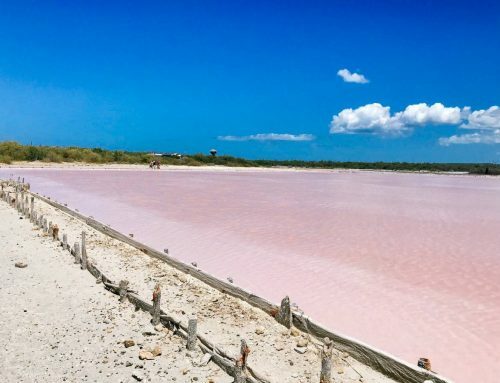 You don’t really need a car unless you intend to explore the rest of the island, and even then most activities will provide transport if you’re trying to do the least possible and just relax. 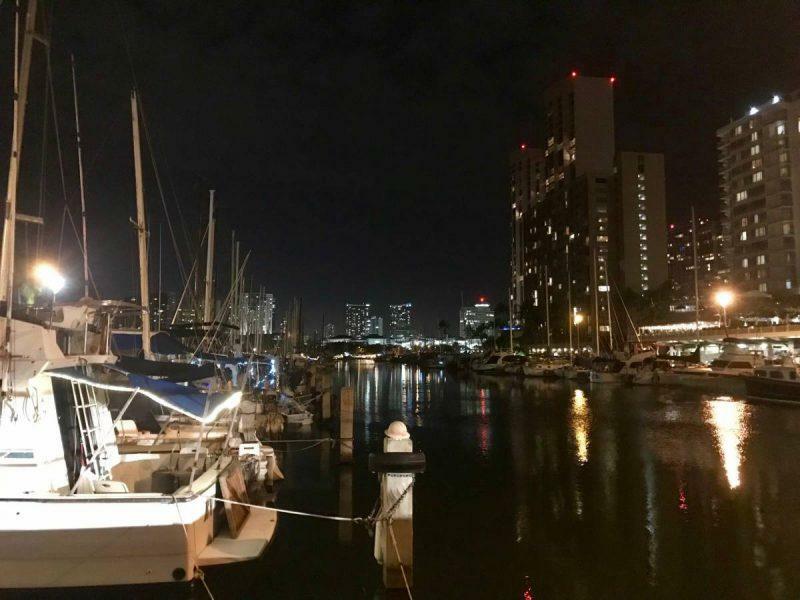 On Friday nights, there is a fireworks show at the harbor. It starts promptly at 7:45pm so make sure that you’re by the water by then. It took me 3 minutes to cross the street when the fireworks began and by the time I got a clear view beyond the cluster of hotel, it was almost over. 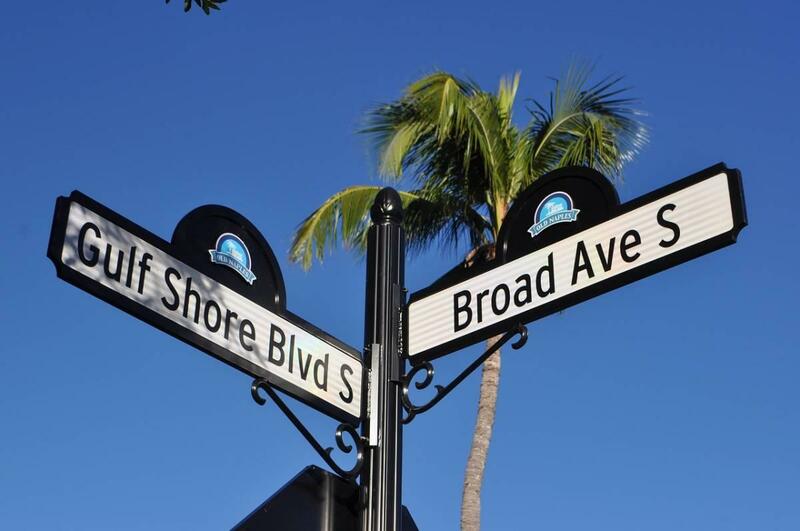 The Ala Moana Shopping Center is just a 5 minute walk, 5 second drive away. This made a great option for me for lunch since their food court is massive and they have authentic Hawaiian options. My go-to was pork, rice and pineapple ice cream for dessert. The shopping center also has a ton of stores, including Target, so you’re guaranteed to find anything you may have forgotten to pack before leaving, or last minute souvenirs. 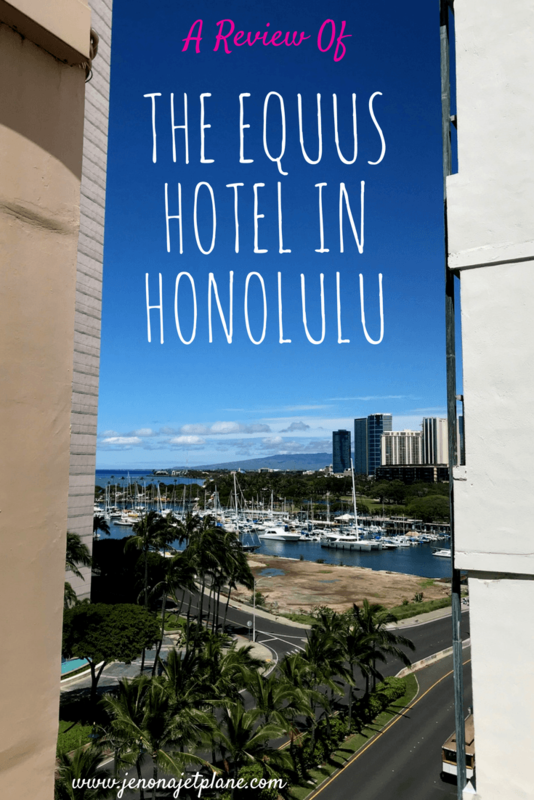 If you’re heading to Hawaii and looking for a place to stay, I highly recommend The Equus Hotel. Thankfully, now getting to Hawaii from the US is easier than ever. 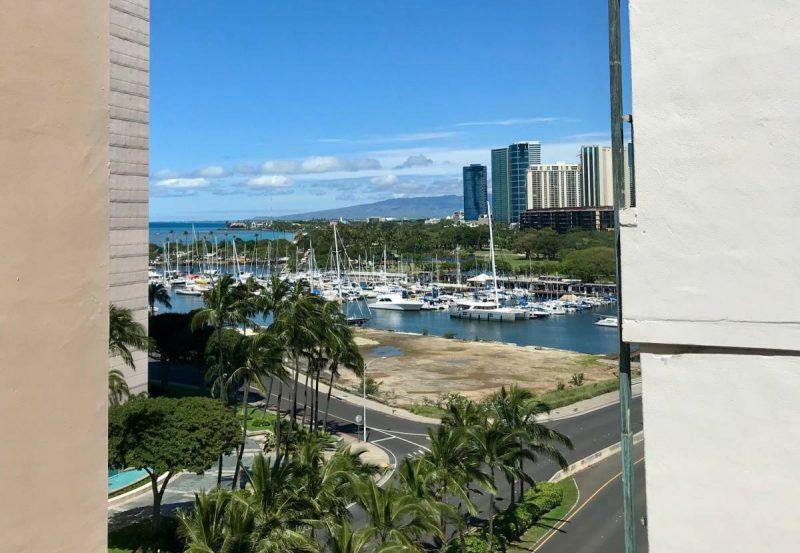 In the first two months of 2018, they reported over 10 Hawaii deals, compared to 2 total over the course of the prior three years. More airlines are flying there, which means they’re all competing for your business! Take advantage, escape to paradise (no passport needed if you’re coming from the US!) and stop by the Equus Hotel. * Note, The Equus Hotel was kind enough to host me on my visit. All opinions are my own. Southwest is starting routes to Hawaii so you may be able to find good rates that way. Also, sign up for flight alerts through Scott’s Cheap flights, this way the deals come to your inbox and not the other way around. If you’re intent on first class, you might consider travel hacking to use points and miles to redeem for a free award ticket (just requires opening up a new credit card and meeting the minimum spending bonus). I hope this helps! Dear Jen, I saw that there are two hotels at this same address; The Equus and Paniolo at the Equus. They each have their own website but it seems like it’s the same hotel. The prices vary a lot though. Do you know the difference between the two? Thank you for this review, much helpful.